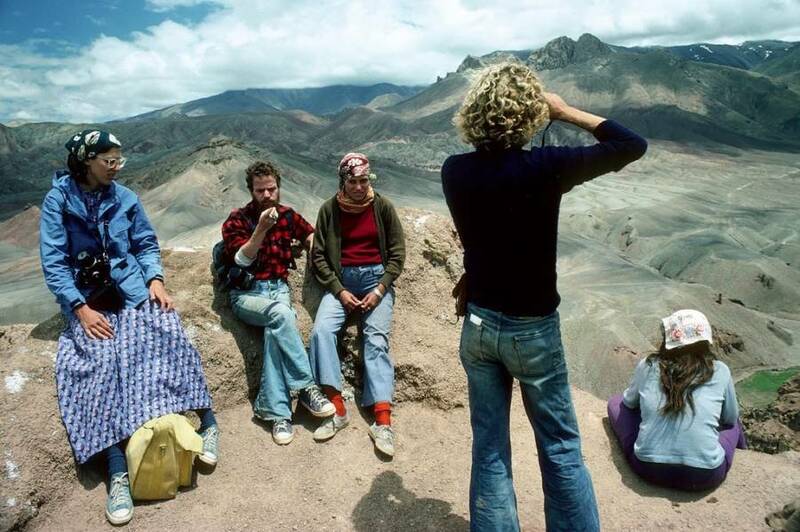 Five hikers rest on the hippie trail in Afghanistan. 1977. 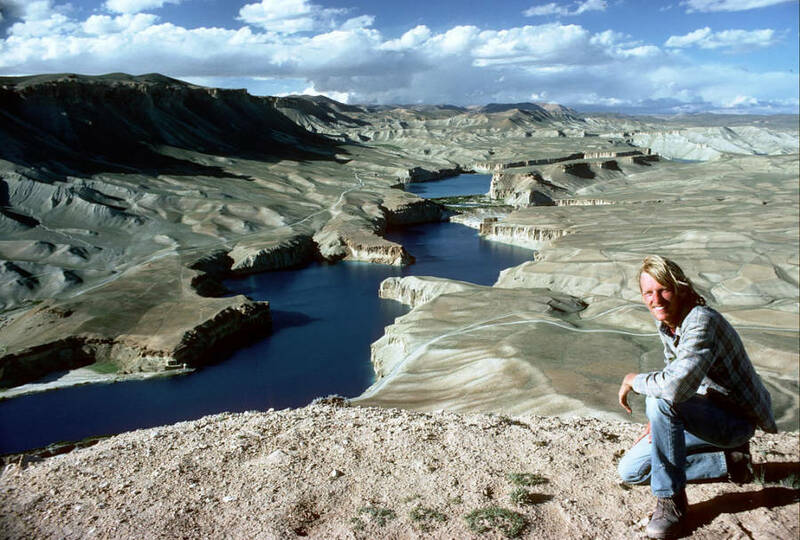 A young woman poses on the hippie trail in Afghanistan. 1977. 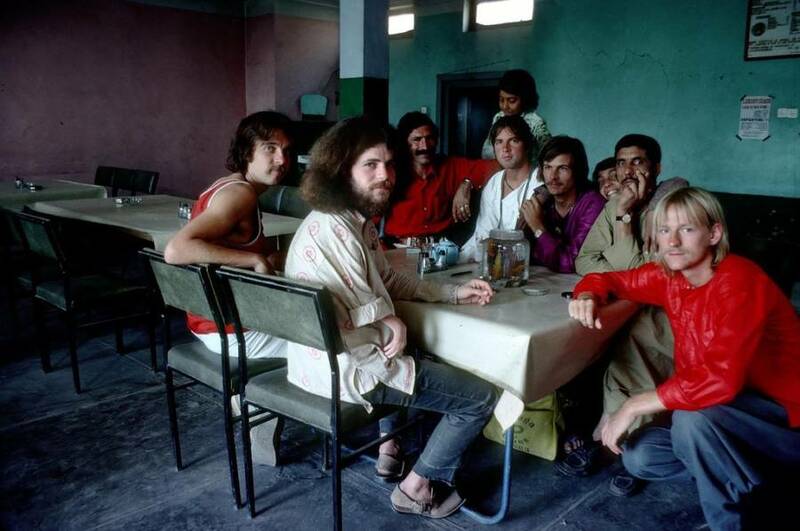 A group of travelers sit in Herat, Afghanistan. 1977. 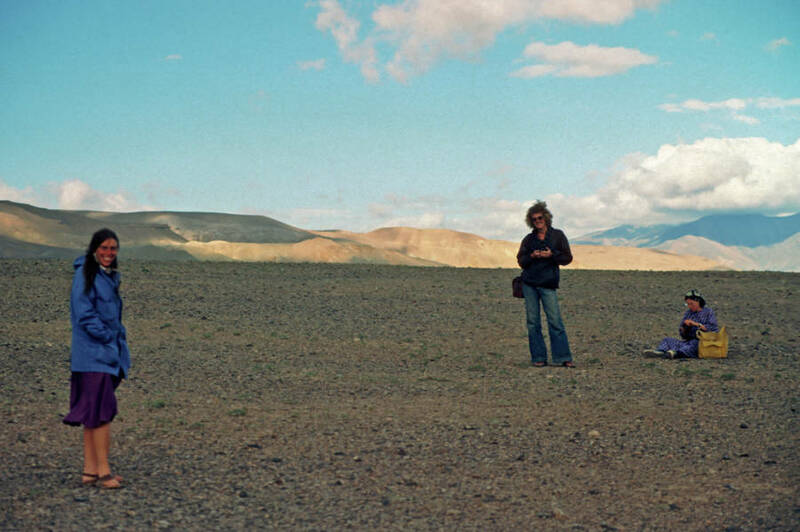 Three hippie trail adventurers pose in Afghanistan. 1977. 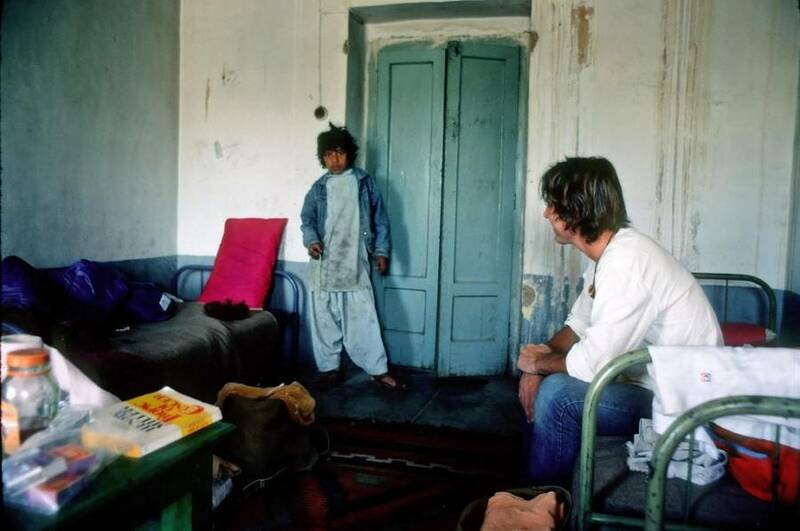 A traveler and a local boy in Afghanistan. 1977. A stop on the trail in Afghanistan. 1977.